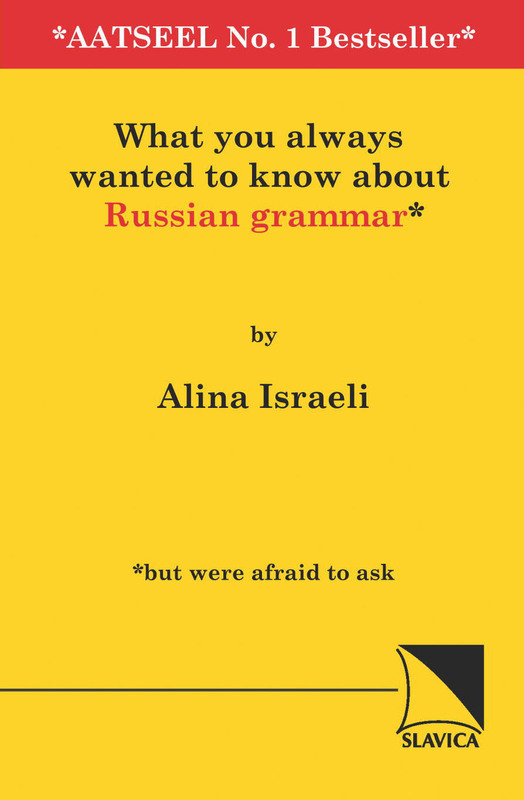 What You Always Wanted to Know about Russian Grammar (*But Were Afraid to Ask) begins where textbooks and conventional grammars leave off: with the perplexing, poorly explained, often maddening aspects of Russian that drive English-speaking students and even their teachers and professors crazy! The author provides authoritative and thoroughly researched answers to 65 thorny questions submitted over a 10-year period by the readers of her regular column in the newsletter of the American Association of Teachers of Slavic and East European Languages (AATSEEL). Many of the questions deal with puzzling (quasi-)synonyms: when do I say this and when do I say that, and why? Other questions deal with contradictions: why does the textbook tell me to say this, but native speakers of Russian say that? Or why do older Russians say this, but younger Russians say that? In answering these questions, Dr. Israeli, a native speaker, draws on her decades of linguistic scholarship, lifelong love of puzzles, and general sense of humor to present the clearest, easiest-to-understand, and most humorous explanations of Russian grammar that you will ever read, most of them supported with real-life examples drawn from historical and contemporary prose, media, and the Internet. If you are an advanced student or instructor of Russian who has been struggling with the finer points of Russian grammar (and who among us hasn't? ), this book is for you! Alina Israeli was born and grew up in what she still calls Leningrad. From an early age she was fond of problems and puzzles and ended up in a mathematical high school and then at the math department at Leningrad University. Meanwhile (that is from a very early age) she was studying foreign languages: first French, then English, later Italian and Polish. Eventually she realized that she had confused her love of puzzles and logic with a love of math and became a student in the Russian department at Leningrad State University, where she began studying linguistics. In the mid-1970s she emigrated under the pretense of going to Israel (where she has never been to this day) and arrived in the US where she soon started studying Slavic linguistics at Yale. Ever since, she has been teaching Russian to Americans, which presented an interesting and never ending puzzle, bits of which she unravels in this book.